It has been a long time since I published Sudoku Labyrinth puzzles. (Rules of Sudoku Labyrinth), so in order to fix that, I present you three new puzzles for your delight. 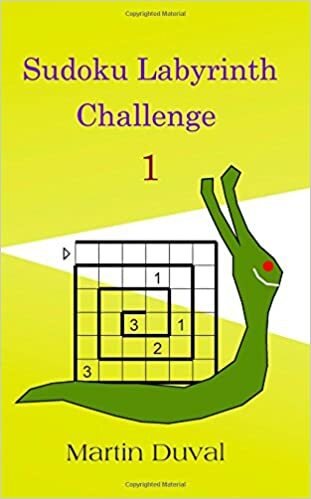 I want to remind you that you copuld find these puzzles in this cool little book Sudoku Labyrinth Challenge 1. This book is wonderfull for those like unusual puzzles ( it is also a great gift for the loved ones). So have a nice day !!! I have three Sudoku Labyrinth puzzles (Rules of Sudoku Labyrinth) just for you. For these ones you use numbers 1 to 3. What I like the most of these puzzles is that we don't need to fill all the cells contrary to Sudoku. These puzzles have a sense of efficiency because you need to fill only the right cells instead of all the cells. The challenge is to decide which cells with which numbers.